I was at this store a week or two ago and they had this flavor and the new Happy Birthday Cake flavor. I thought I was going to have to choose between the two when I went back, but the bday cake was all gone. Doing a little research, it seems that there is also a new Classic Chocolate Cupcake flavor out now. There might also be a German Chocolate Cake flavor in a blue container instead of a purple container, or maybe that one is from last year. See, this is why ice cream companies need websites. Ok, enough background, let's scoop. I take a few bites and it's not bad, not bad at all. It's pretty mild, no crazy cake batter tang or over-sweetness. It's not strong like the B&J version or funky like the Blue Bunny version. No, it's just a tame flavor that's easy on the taste buds. Texture is decent, fairly airy, basically standard main stream fair. The dark red cake bits? Yeah, I like them, probably because there are so many of them. Whenever I think I've been too greedy and devoured them all, I stumble upon some more, and that's what makes this flavor a winner for me. These dense little bits have just the right amount of flavor punch to make you happy. Yeah, I should say fun factor right about now, shouldn't I? Dense enough to notice, flavorful enough to elevate the bite, compliments the base well, it's all good. This non-offensive flavor is definitely my style. And the swirl? Well, it's a bit of a no show. Oh, it's here and there, but in microscopic bursts. You literally have to stare to find the little white whips and bubbles here and there. That said, the swirl still manages to add a bit of underlying cream cheese frosting flavor. Nothing crazy, just a little bit of sweetness to round out the flavor profile. 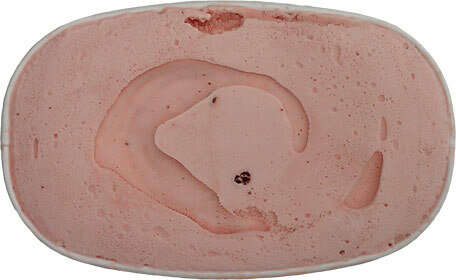 I think more of the swirl would probably broaden the appeal of this ice cream, but considering the overall strategy on this one, not enough swirl seems like a safer bet rather then too much. 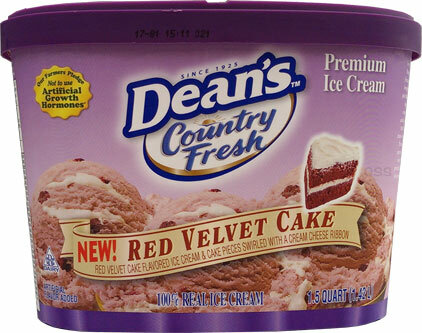 This was a good first introduction to Dean's ice cream for me. Nothing crazy, but not every company needs to be crazy. The average consumer doesn't have the cash to be crazy week in and week out. This was $3 on sale and more then good enough to make me try some of their other stuff (if and when they restock). On Second Scoop: I just finished my second scoop and it went very well. When the cream cheese frosting hit it's stride, wow, I really enjoyed the sweet blast. I know I called this one tame yesterday, but I don't mean flavorless, I just mean nice. I dig the way the base compliments the plentiful cake bits. For some reason I really want a cupcake right now. Keep searching for the Cool Haus pints, they're delicious! 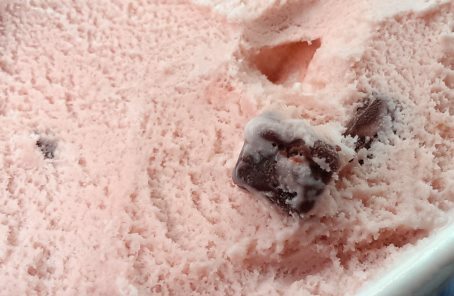 The only flavors offered in stores are bananas foster, salted caramel, molten chocolate cake, dirty mint chip, and balsamic fig and marcapone. I have had all five and was impressed. 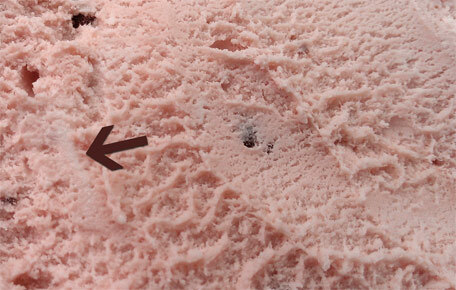 A word of warning, however; the dirty mint chip is a shocker. The ice cream is brown and has a very natural mint flavor that took some getting used to. That particular flavor is probably not for everyone. Dean's Fanny Mae mint meltdown or something like that was my obsession last year. So. Good.